What does ‘student-focused’ look like? Class sizes at community colleges are much smaller than those in freshman and sophomore years at public universities. Most classes have fewer than 30 students and provide many more opportunities for students to interact with teachers and other students. Faculty members are accessible and dedicated to helping students succeed. Student support is one of the ways community colleges stand out among other higher education institutions. Typical services include academic and career advising, counseling, tutorials, health care, financial aid, and library and computer lab services. Use the links below to explore services commonly offered at Maryland’s community colleges. For specific information on what services your local community college provides, visit our Explore Colleges page. In addition to academic support obtained directly from faculty, colleges typically offer free general study skill workshops, small group academic subject support, and tutoring for credit students. Many students will tell you that the support they receive from faculty and staff has been one of the most valuable aspects of attending community college. An increasing number of students complete 2 years of a 4-year degree at community college, and then transfer to a 4-year school. Reverse transfer, starting at a 4-year school and transferring to a community college to obtain an associate degree, is also a smart choice for some students. Course equivalencies at multiple regional institutions. Course equivalencies at (USM) University System of Maryland institutions. Community college career counselors to assist students with selecting career paths for the short and longer term. Career counseling is available for all students whether seeking a degree, transfer or career certification. 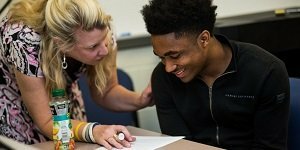 Counselors assist students in assessing strengths, evaluating careers, and getting work experience through internships, apprenticeships or part-time employment opportunities. Assistance with resume and interview preparation, as well as managing online profiles is included. 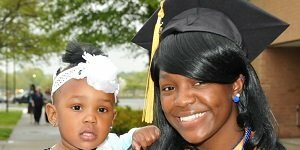 Quality, affordable child care centers are available on the main campus of every Maryland community college, and at some satellite campuses, as well. Highly accomplished students often wonder if community college will be challenging and fulfilling. Maryland’s community colleges offer honors programs for accomplished students. Community colleges offer more personalized support to students demonstrating both a need and an ability to succeed when provided with appropriate services.